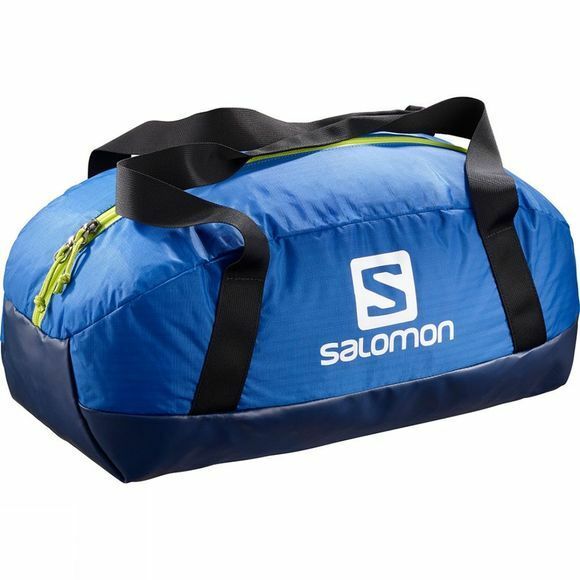 The Prolog 40 Duffel Bag from Salomon is a highly durable kit bag that will stay faithful through your adventures around the globe. It has adjustable shoulder straps and a wide zip opening for easy carrying and access to contents while the tough, waterproof fabric can withstand being put down on wet ground or rough rocks without a worry. Please note: while the fabric of this bag is waterproof, the seams haven't been sealed thus it can't be considered a fully waterproof bag.